When your lease is coming to an end, there are a few options to keep in mind as you prepare for what’s next. MINI of Ann Arbor makes the process easy! As the end of your lease approaches, we’ll be reaching out to help you choose the best option for you and let you know about any available incentives. 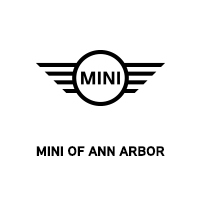 MINI of Ann Arbor will help you choose a new MINI from our great selection of inventory. We’re here to make it as easy as possible for you to turn in your lease and pick out your next MINI. As a loyal MINI customer, we would like to reward you with $500 credit on new MINI vehicles. From bonus cash to special lease rates, we will make sure you receive the best deal available. If you decide that you will be purchasing a new or leased MINI (through MINI Financial Services), we’ll gladly waive the $350 disposition fee on your current vehicle and the security deposit on your new MINI. There are times when we can waive some of your remaining payments on your current MINI. Whether you’re looking to lease a different model or upgrade to the newest technology, we’ll find the best MINI to fit your needs. You have the option to keep your faithful companion. You can simply send a cashier’s check or certified funds to pay it off or you can finance the total amount due with MINI Financial Services. However, if you decide to purchase your current MINI you’re responsible for its residual value, any fees and taxes, and any past due payments or charges. You have the option to return your MINI without purchasing a new one at the end of your lease. If you choose this option, there are a few things you’ll need to do to wrap up your lease. Our vehicle inspection process is easy and convenient. You will be contacted by MINI of Ann Arbor or a 3rd party to schedule this inspection. We recommend scheduling at least a month before you turn in your lease. After your vehicle is inspected you will receive a detailed report and an itemized list of any charges that will be assessed due to excessive wear and use. For any questions or concerns about the status or results of the inspection, please contact one of our Lease-End Relationship Consultants at 1-800-959-4269. Can I return my lease to MINI of Ann Arbor if I didn’t lease it here? 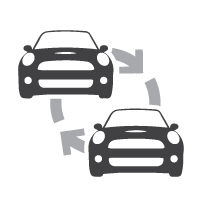 You can return your lease to any MINI dealer, regardless of where it was originally leased. Can I end my MINI lease early? If you would like to end your lease before its scheduled end date, you can buyout your lease at any time, or you can trade in your vehicle whenever you want. Although, you are allowed to return the vehicle at any time, it’s important to remember that you are still accountable for all remaining lease payments when turning in your vehicle before the your lease term is over. Should I buy out my MINI lease? Deciding to buyout your lease may be a great option depending on your situation. You should compare all of your available lease-end options to make sure that you’re making the best choice for you. Generally, the end-of-lease buyout price is the residual value which is predetermined in your lease agreement; it’s up to you to choose decide whether or not the residual value is a good price for your vehicle. Consider the price of similar used vehicles with comparable mileage and options when deciding if you should buyout your lease. If you have more questions about buying out your lease, feel free to give us a call anytime at (734) 272-4567 to speak with a leasing specialist. When should I get my leased MINI inspected? It’s recommended that you have your car inspected within the last two months of your lease. This will ensure that you have plenty of time to schedule repairs on the vehicle if there is any required maintenance. 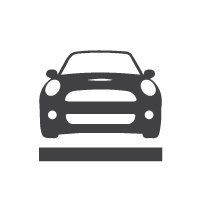 Can MINI of Ann Arbor perform my lease inspection? 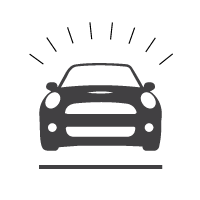 Only authorized agents can complete the end-of-lease inspection, but if you choose to return your vehicle to MINI of Ann Arbor at the end of your lease term, we will be glad to contact an authorized agent to perform the inspection for you. Do I need to be present during the end-of-lease inspection? While you aren’t required to be there for the vehicle inspection, we definitely recommend it. If you’re at the vehicle inspection, you’ll better understand the results of the inspection, as well as any charges that could apply. In addition to this, you will have to sign off on the vehicle report that the inspector produces; you will also be given a copy of the report at this time. The inspection of your car should take approximately one hour, unless there is an excess amount of damage to your vehicle.